Because picking out imaginary birthday presents is ALWAYS a fun time (and my god do I have a lot of free time today!). 1. A Subscription to Visionaire. 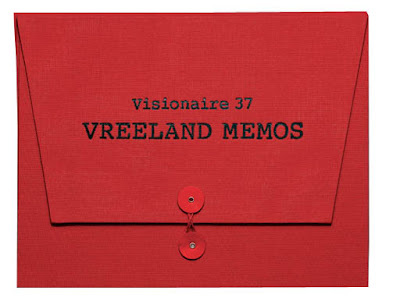 If a subscription isn't possible, I will gladly accept Issue 37: The Vreeland Memos. Dating from 1966 to 1972, the memos, which were dictated to Vreeland's secretary from the sanctuary of her bathroom each morning, covered topics ranging from the wacky (the use of freckles or the utter importance of dog collars, for example) to the divine (the genius of Halston). Seriously. I need this in my life. 2. 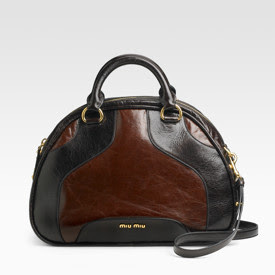 A Miu Miu Bowler Bag. I was obsessed with the Prada bowler in the 90's so to me, this bag is the amazing awesomeness of cool. Not actually attainable in real life, of course. 3. Some Thakoon and Prada outfits. 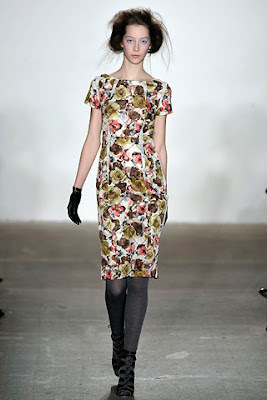 I am head over heels in love with this Thakoon dress, the detailing is exquisite and I love the wallpaper floral print. I'm sure by now you all know how I feel about the Prada fall collection therefore no explanation is necessary. 4. 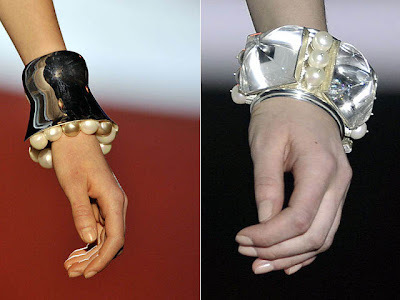 Marc Jacobs Bracelets. They are huge and a perfect mix of futuristic and nature. I don't really wear bracelets too often (they, uh, are usually too big for my wrists), but oh these are so wonderful. Happy birthday!!!! Mine's is coming up too and I told my friend she could get me a subscription to V Magazine, but I think she thought I was joking because she doesn't understand my love for fashion magazines and she left the subscription card I gave her in my room. Haha. Oh! I need those memos!